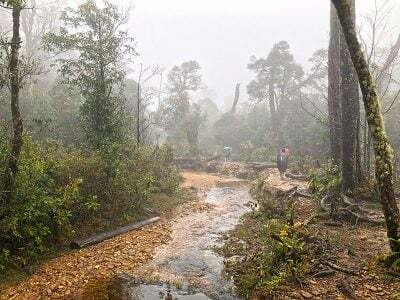 If Europe has The Alps, Vietnam has Mt. Fansipan. 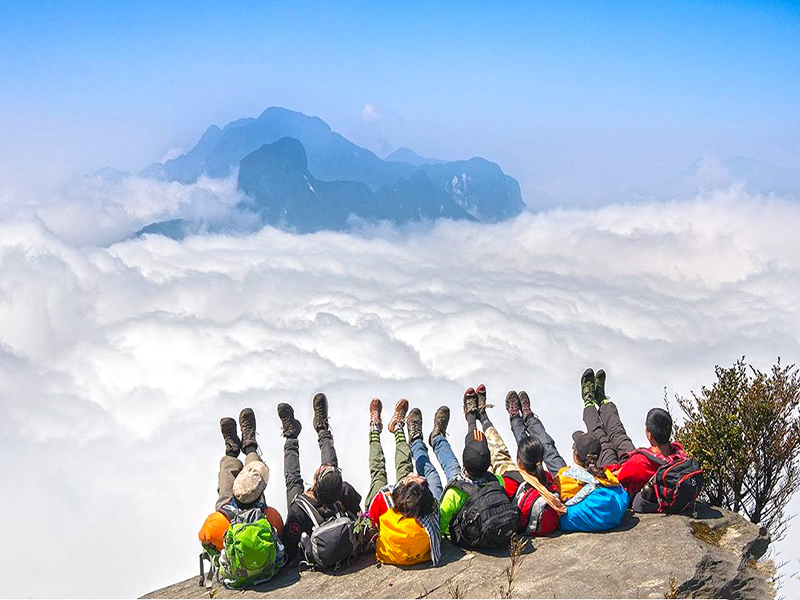 This “Tonkinese Alps” serves as the highlight of all the highlights in Sapa, the premier trekking base of Vietnam. Gaining its reputation as the Roof of Indochina, Mt. 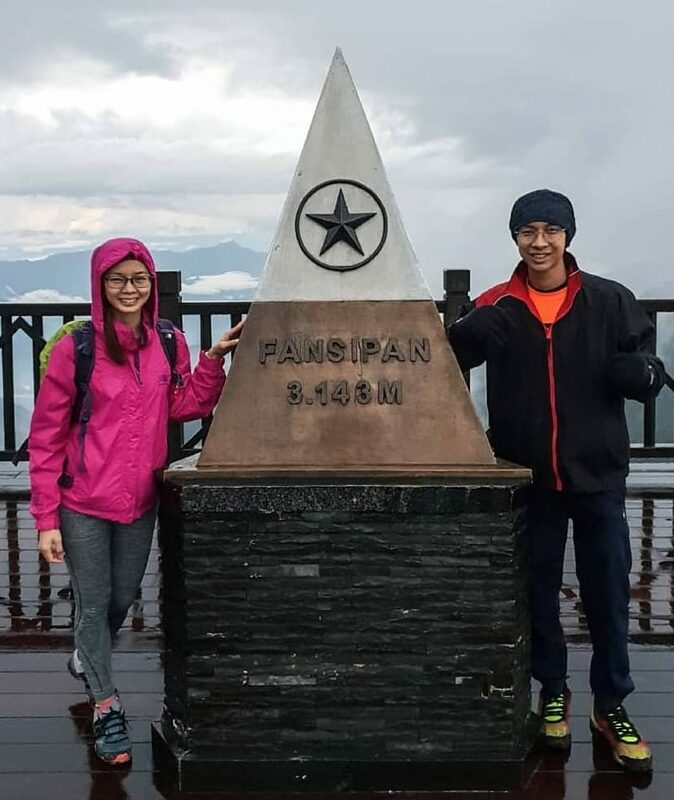 Fansipan is king of all hiking trails in Vietnam, Laos and Cambodia, intimidating all other peaks with its 3,143m-tall stature. Sapa attracts numerous local and foreign visitors all wanting to taste a piece of its symphony of nature through the popular trekking tours. Everyone visits Sapa to trek the local villages and surrounding rice terraces or waterfalls. For adventurers longing for a non-touristy experience on an off-the-beaten track, scaling the highest mountain in Indochina is the answer. 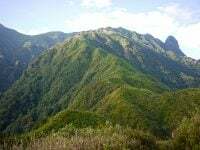 You will be traversing up and down the ridges, sometimes covered with vegetation, sometimes exposed to the sun. This trail is an everyday norm for locals as young as 15 years old to hunt for food, and gather woods and herbs for a living. Do you think you are fit enough to take on the challenge? Disconnect to connect. Taking a 2-to-4-day journey into Mt. Fansipan disconnects you from the hustles and bustles of the city while immersing you with the peace and serenity of nature. 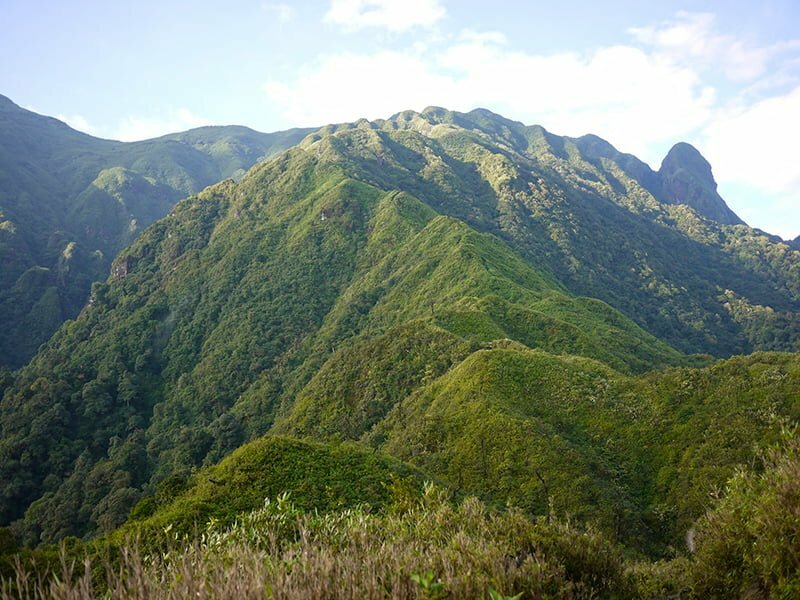 You’ll see different kinds of plants along the way, spot a variety of bird species and smell the crisp mountain scent. Are you a nature-lover willing to leave the comforts of the city? And the reward for this? 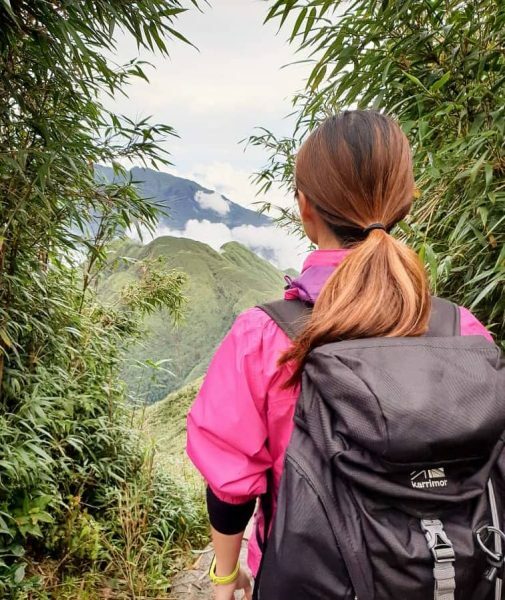 Aside from satisfying your craving for adventure, you’ll surely get a glimpse of heaven at the summit, with stunning views of the surrounding mountains’ glorious peaks and the sea of seemingly infinite clouds. When visiting in winter, you’ll even get to chance upon a blanket of frost covering whatever you’ll find at the summit. When you have the chance, don’t miss to catch the sunrise at the summit, turning the clouds into a golden sea. Being the easiest trail to the summit of Mt. Fansipan, Tram Ton is by far the most popular trail. 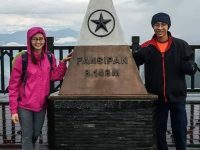 Although technical mountaineering skills is not required to finish this hike, don’t underestimate the endurance it would require you to finish this long path, especially during the rainy season. At around 6.00 AM you will be picked up from the train or bus station and taken to Sa Pa for your breakfast and a hot shower. Take some time to relax and discover Sa Pa Town by yourself before you begin your trek. At 9.00 AM, the driver will bring you to the Tram Ton pass, the jump off point for the ascent of Mount Fansipan. Get to know your guide / porter from the Black Mong people, who will carry the food and your sleeping bag up the mountain. Along the trail, you will pass through pine and bamboo forests, and tread beside streams in a cool climate. During the hike, you get a good opportunity to learn from your tour guide about the minority tribes of Black Mong, Red Dzao and Dzay. the indigenous people living in Sa Pa.
Around 12 noon, you will stop over at 2200 meters. Enjoy a picnic lunch prepared by the tour guide. After a rest, you will make your way to the sleeping quarters at 2800 meters, which you will reach around 4.00 PM. You have the time to rest or explore the surroundings while your dinner is being prepared. Enjoy dinner at 6.30 PM and take advantage of an early night’s rest. At 4:00 AM after having breakfast with a cup of hot tea or coffee, you will do the final assault to the summit, trekking through the bamboo forest and approaching the top of the mountain where vegetation becomes less. At 6.30 AM, you will have conquered The Roof of Indochina. Congratulations! Marvel at the sunrise and take pride standing on the highest peak in Vietnam. 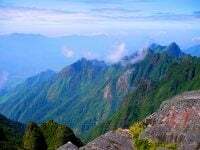 Great views over the valleys of Sa Pa and Lai Chai Province will reward you. Peaks of Yunan Province in China are sometimes visible. Around 8.00 AM, you’ll begin descending and enjoy a picnic lunch on the way down to the Tram Ton. Between 3.30 – 4.30 PM you will be back in Tram Ton already, where your service vehicle back to Sa Pa awaits you. Take the opportunity for a warm shower at the office before taking the bus or train back to Hanoi. Known as the wildest, steepest, shortest in distance, and the most dangerous of all the trails, Sin Chai route attracts mainly the adrenaline junkies. The path has overgrown vegetation due to very few hikers choosing this trail. Starting off at 6.00 AM, you will be picked up from the train or bus station and taken to Sa Pa for your breakfast and a hot shower. Before you begin your trek, take some time to explore Sa Pa Town by yourself. Your guide will then orient you and take you from Sapa town to Sin Chai village of the Black H’mong minority at the foot of the mountain. You will begin your Fansipan expedition at the altitude of 1,400m, crossing a hanging bridge and start the ascent. Marvel at the scenery of the hill sides with an overview of the picturesque Muong Hoa valley and beautiful Sapa town. You’ll also go through thick forests! Concentration and extra care is required to conquer this rough trail. At noon, you will enjoy lunch by the stream of an old forest at around 1,900m altitude. After lunch, you’ll thread the forest trail that takes you up and down some peaks to the 1st camp base at 2,300m. Discover the diverse flora and fauna in which many have been put in the list of Vietnam’s valuable and rare species. By late afternoon, you will have arrived at the campsite. Relax and enjoy your well deserved dinner before ending the day with a tight sleep. Prepare yourself to navigate cane and bamboo forests involving some steep and slippery parts, stepping on mossy stones, requiring extra care. By lunch time, you will have reached 2,900m. In the afternoon, you will finally set foot at elevation 3,143m, Mt. Fansipan’s summit – Vietnam’s roof. 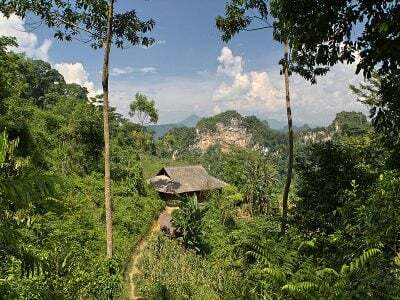 Enjoy the views of Hoang Lien Son mountain range, a nature reserve protecting a great diversity of animals and plants. A variety of orchid that flourishes in this unique ecosystem is just one of the hundreds that is found here. Observe the vegetation as it changes while you trek higher, culminating into a dwarf bamboo forest as you approach the top. Celebrate victory with a view of Laos and China after a successful 2.5 hours of pushing forward, if things go according to plan. Take a 2 hours’ descent back to 2,900m where you will spend the second night in a base camp. Short and almost purely downhill, today will just take you around 3 hours to descend through bamboo and cane forests to the altitude of 2,200m where you will have your final lunch for the Fansipan expedition. A rather shorter yet still interesting hike awaits in the afternoon, making you sneak through dense forests to a cardamom farm, then crossing some small streams. 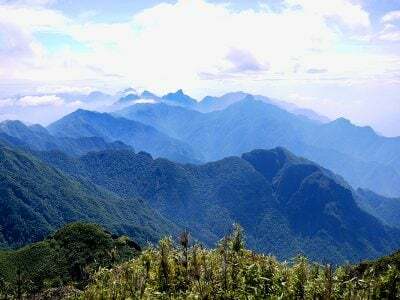 Finally, you will arrive at Hoang Lien Mountain Park gate where your service is awaiting for you to bring you to Sa Pa where you can enjoy a rewarding warm shower before you take the bus or train back to Hanoi. The best scenic route is also the longest, most difficult of all trails running a total distance of 20 kilometers. Although not as treacherous as Sin Chai trail, the distance and steep assaults require a healthy body and mind. Flora sections include Rhododendron plants, pine tree forest and bamboo forest. 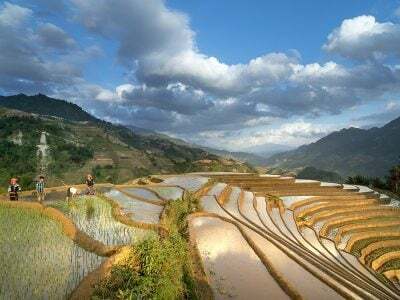 At 6.00 AM, you will be picked up from the train or bus station in Lao Cai and taken to Sa Pa where you’ll enjoy breakfast and a hot shower. 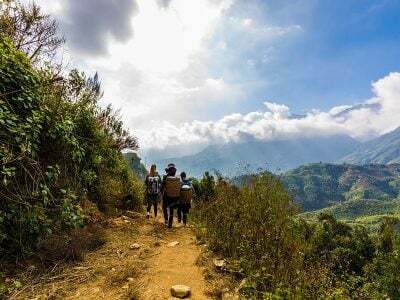 Before you begin your trek, take some time to explore Sa Pa Town by yourself. Meet your porter/s to carry the equipment, food and supplies we are providing for your journey. Your day pack with water, jacket and camera alone will also be carried. Today you will start the ascent trekking through picturesque rice paddy terraces and some hill tribe villages. 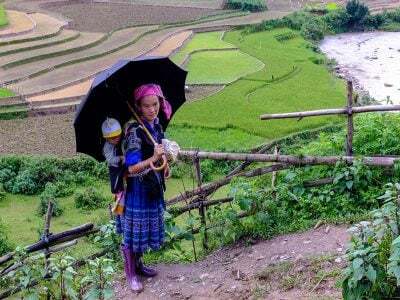 You will descend from Sapa into the nearby village of Cat Cat, crossing Muong Hoa River. After the river you will start ascending to reach an elevation of 1,700m where you will be recharged with lunch. You will continue trekking in the afternoon to the first base camp at an elevation of 2,300m. 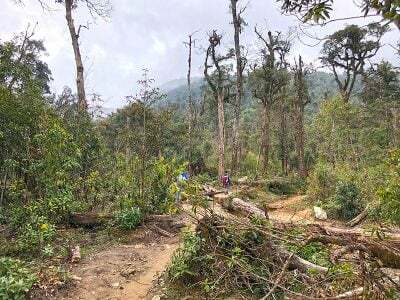 A steeper and more challenging trail will accompany you as you hike through massive Arrowroot plantations and slopes surrounded by bamboos. At the campsite, your bamboo sleeping hut will have a very small clearing of the mountain. A full day hike is set for the day to the second base camp. An old forest containing giant, century old pine trees and expanses of bamboo will serve as your trail’s surroundings. Reaching an altitude of 2,900m you will have a spectacular view of the peak of Mt. Fansipan. After lunch, you will have to descend to 2700m through large boulders, down a fairly steep incline. The campsite is on a mountain slope near a stream. Indulge with nature as you eat your dinner and sleep for the night. Today, Fansipan’s summit will reward you after around three hours of hiking through dense bamboo forest. Once at the summit, take a moment to soak up the best panorama in Vietnam before descending back to 2,700m for lunch. In the afternoon you will reach the third base camp where we spend the last night on mountain. Finally, you trek downhill all the way back to the foot of the mountain. You will have reached Sapa by lunch time. In the afternoon you will then be free to take shower and relax after the climb. NOTE: Although the sleeper bus option is available, we recommend taking an over night train to Sapa as it’s more comfortable and safer. I booked this tour after a few email communication with Joey. His response was always very fast and gave me a good idea of what to expect. When the date was closer, I connected with Thuy and she was dedicated from the moment we landed in Hanoi airport and continued our journey from Hanoi train station, to Lao Cai train station, followed by a bus ride to Sapa, and then a taxi ride to start the hike from Sin Chai village. The hike itself is moderate to difficult. The cold and wet weather in late December made it more challenging. However, we had a great tour guide (Trang) and porter who took care of us and cooked for us. Overall, it was a great experience with the Terrible team! We will certainly return to Hanoi again for more adventure! 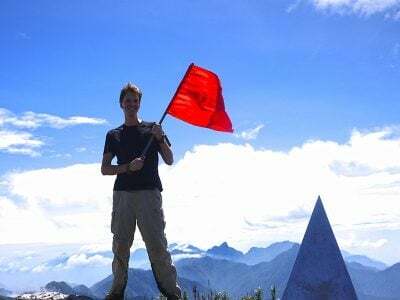 For those who are just chasing for great views from the top of Mt Fansipan, I’d say take the cable car ($30) if the weather is favorable, if not don’t go as you won’t see anything when there’s no clearing. 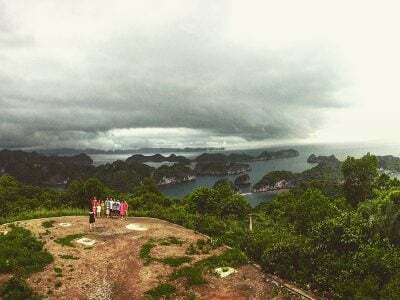 However, if you’re up for real adventure like us and wanted to experience what it’s like to reach the roof of Indochina by foot; then, I would recommend that you take the hard-way. 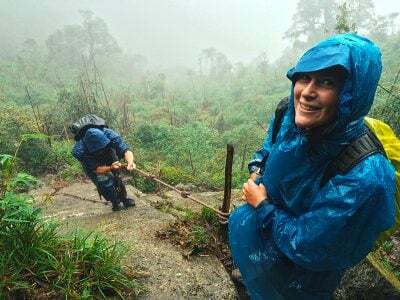 The climb to the top will never be easy and it’s surely brutal during monsoon season when the trail becomes extremely slippery. Your patience and endurance will surely be tested; so, prepare accordingly. Rain gear (rain jacket, poncho, etc.) is a MUST regardless of the season and NEVER forget your thermal jacket/fleece or anything that would keep you warm during the night. Trust me, it’s freezing cold at base-camp. The trail towards the summit is a little bit technical. Don’t worry, it’s doable with extra caution. Brace yourself for the seemingly endless ladder towards the top. Take it slow and enjoy the journey and you’ll eventually get there in no time. NOTE: There’s no electricity at base-camp. Bring your own power own bank, head torches, and thank me later. I got a hiking journey to the top by taking the Tram Ton trail. It was unexpected and awesome with numerous beautiful landscapes. See transition between tropical to subtropical climate and its biodiversity. It took me 2 days one night stayed over on over 2.500m. For me I think should try this in Sa Pa. 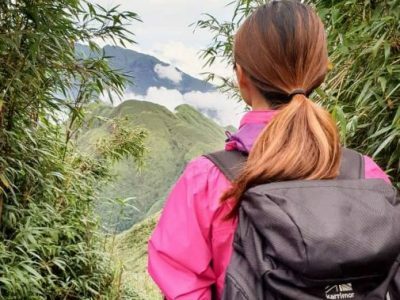 Booked my trek as recommended by a blogger I met in Philippines and this is one of my highlights in my 22 days of backpacking in Vietnam. The rates is affordable compared to many other agency. Dinner was served with huge portions of rice, veggie, fish, pork and chicken; all cooked by Chu, a 20 year old Hmong boy. I was so impressed. Chu’s English is good and he has interesting stories to share about his life and how he went against all odds and managed to become a tour guide. We were lucky to have a clear sky where billions of stars as well as the milky way can be seen. We started around 4.30am for the sunrise summit climb in the darkness under the stars. The climb wasn’t difficult as Long as you have a stamina to run at least 5km nonstop. Steps and ladders were constructed at some area which made the ascent easy. Sunrise at the summit was beautiful but I believe it would be better without the construction of Temples, statues and cable cars around. Highly recommended to book a 2d1n trek up rather than using the cable car as scenery is better when you work for it.